We’ve successfully set up our mailbox databases, created and tested accounts on Exchange 2013 and we’re almost ready to go. To round off the previous articles in this series, we’ve began to configure the all-important step that will enable a smooth migration, coexistence. 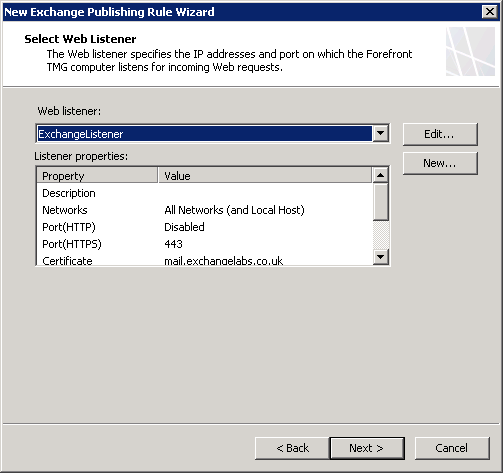 So far we’ve enabled the new SSL certificates on our TMG and Exchange 2007 servers, created additional records in DNS to support coexistence and updated Outlook Web App on Exchange 2013 to support pre-authentication on our TMG server. 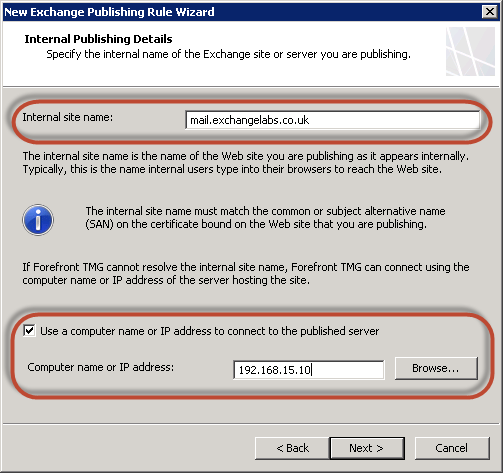 In this part of the series we’ll complete the configuration of coexistence, updating Exchange 2007 to correctly support using a legacy namespace, update internal DNS records to point our main names for Exchange at our new server, then configure TMG so that Exchange 2013 is published alongside Exchange 2007. Finally we’ll test to make sure everything is working as expected. Our next step is to update the URLs that will be provided to clients by AutoDiscover, and used by Exchange 2013 to proxy or redirect requests to Exchange 2007. For each virtual directory on Exchange 2007, we’ll need to update the URLs in place to instead use the Legacy names we’ve chosen and added to our SSL certificate. As always though there’s a couple of exceptions. The first is ActiveSync. ActiveSync clients do not handle redirection very well, and when prompted to redirect will, in many cases, simply break. 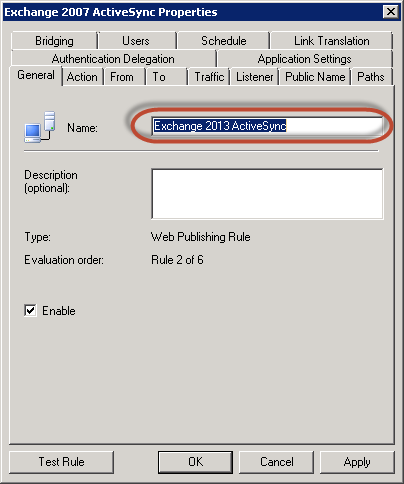 Therefore we’ll want to ensure that Exchange 2013 proxies the request to ActiveSync and the client is not made aware of the change. 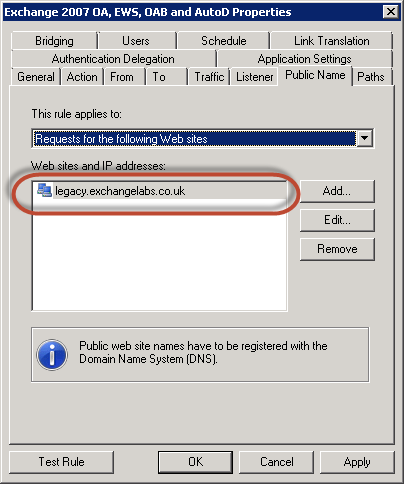 Set-WebServicesVirtualDirectory -Identity "E12M01\ews (Default Web Site)" -InternalURL "https://legacy.exchangelabs.co.uk/EWS/Exchange.asmx" -ExternalURL "https://legacy.exchangelabs.co.uk/EWS/Exchange.asmx"
Set-OWAVirtualDirectory -Identity "$($Server)\owa (Default Web Site)" -InternalURL "https://$($HTTPS_FQDN)/owa" -ExternalURL "https://$($HTTPS_FQDN)/owa"
After making these changes, clients like Outlook will, as part of their regular AutoDiscover process, begin to use the new URLs rather than the existing ones. 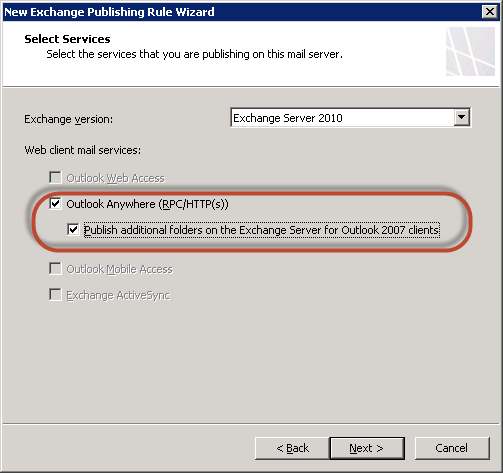 To switch over to coexistence for internal clients, all that is now left to do is to update the existing mail and autodiscover records within DNS to point at the Exchange 2013 server instead of Exchange 2007. 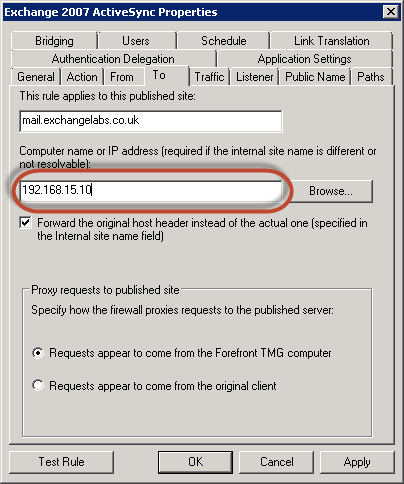 Simply update each to use the IP address of the Exchange 2013 server. 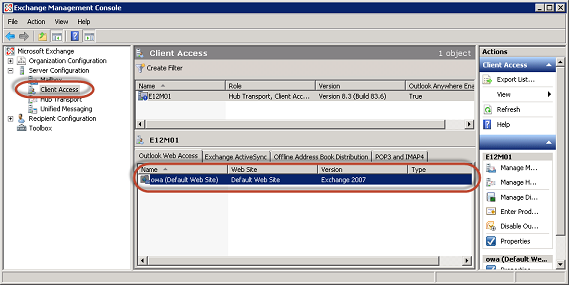 As soon as the cached address client use expire, they’ll begin to access Exchange 2013 – initially only for AutoDiscover and proxied requests. 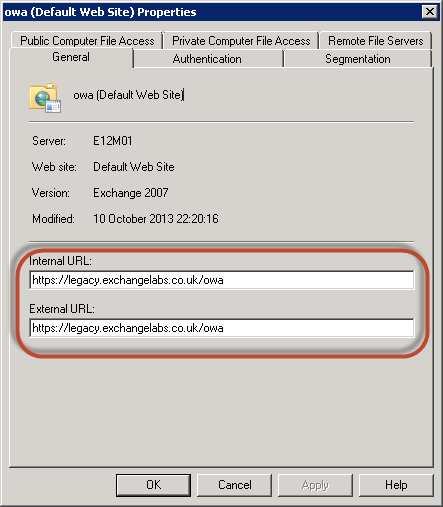 Requests to the legacy URLs will go to Exchange 2007. 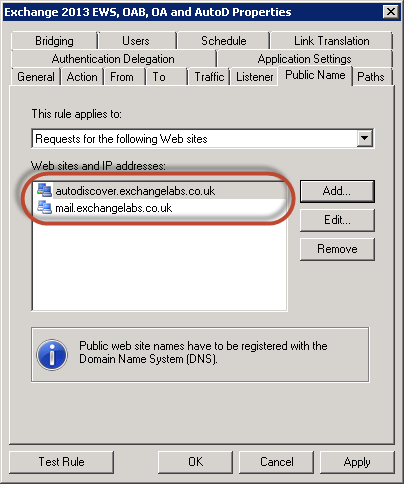 Requests to the mail and autodiscover URLs will go to Exchange 2013. 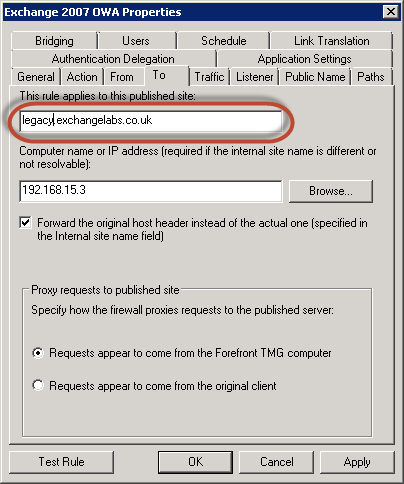 TMG pre-authentication SSO will be used across both names so that clients access Exchange 2007 won’t need to log in a second time after Exchange 2013 redirects them to the legacy URL. A single IP address and SSL certificate (both already in place) will be used to publish, using our existing listener. Before we begin making major changes to TMG – first, take a backup. Second – bear in mind that many TMG configurations are different. Depending on the organizations requirements, it’s likely you’ll see some differences between the configuration shown here and within other environments. Then we'll alter the internal IP address of the server that's published. 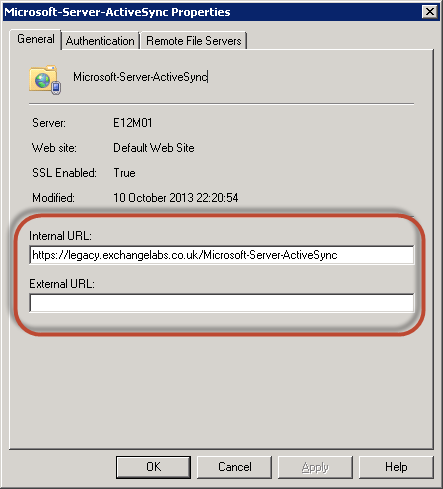 For our single ActiveSync rule we don't need to alter any other settings, simply because it is still published with the same external HTTPS name URL and paths. Existing rules altered (but crucially not applied yet), we're now ready to create our additional rules for Exchange 2013. On the Authentication Delegation page of the Publishing Wizard, we'll be given the option to specify the type of pre-authentication in use. We'll specifically choose not to use pre-authentication for the services we are publishing through this rule. There’s a number of reasons for that - first and foremost, it's not supported with the Outlook App publishing we'll use with this rule. 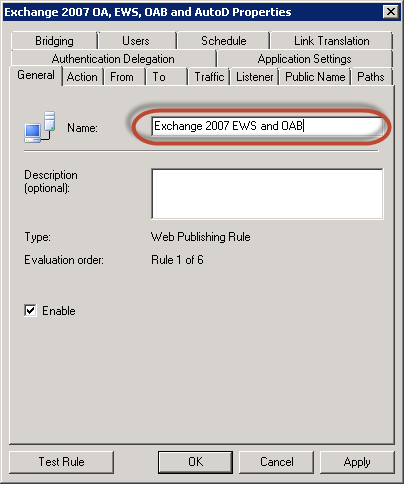 Additionally, it can also cause problems if you're looking to implement a Hybrid Exchange configuration at a later date, publish calendars to the Internet or use Exchange's Federation features. 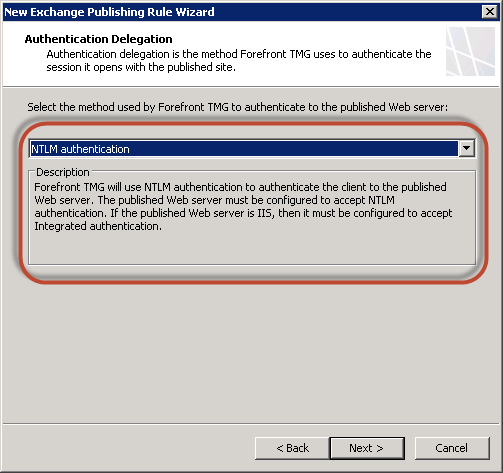 More importantly, when we've finished migrating users and tear down the coexistence setup, we'll remove TMG anyway and publish Exchange 2013 directly, so why add any extra complexity? 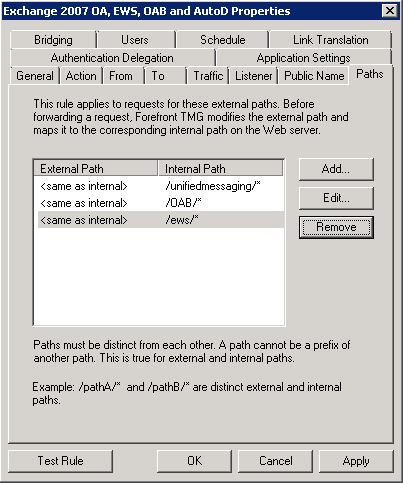 We'll then need to add a single additional path to ensure Outlook Apps can be published. Outlook Apps use OAuth authentication and reside within the Outlook Web App virtual directly. 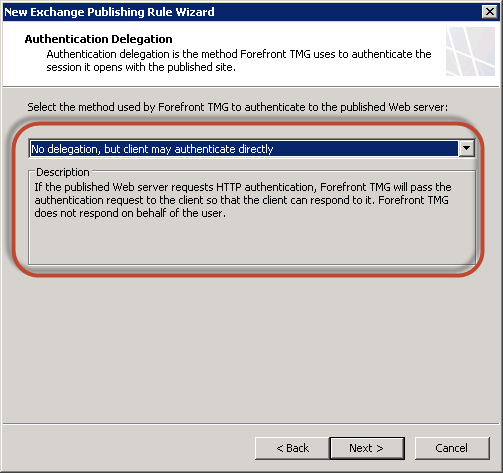 Because the OWA virtual directory will use TMG pre-authentication, we'll need to specify the exact path used by Outlook Apps for OAuth authentication in this rule to ensure that those requests bypass pre-authentication. Microsoft have provided detailed guidance concerning this on the Exchange Team Blog, and we'll use the relevant guidance to find the exact path to add. 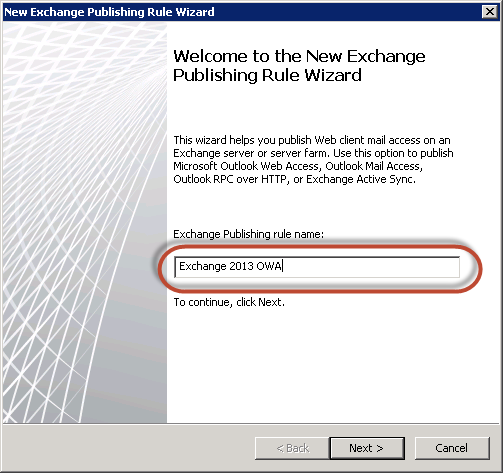 After making this change, our first Exchange 2013 rule is ready to go. 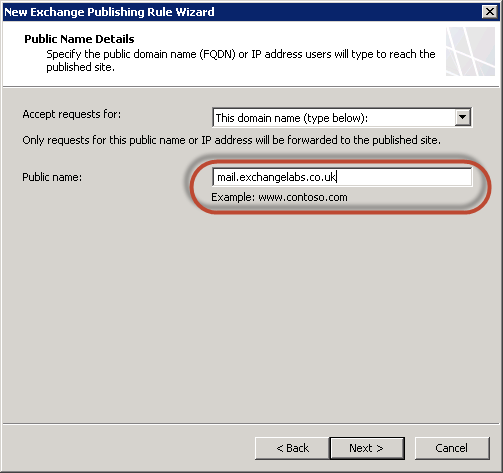 Using the same settings as the previous rule, we'll enter the main HTTPS name for Exchange 2013, and enter the internal IP address of the Exchange 2013 server on the Internal Publishing Details page and Public Name Details pages of the wizard. As before select the same listener used for the previous rule. To complete the wizard, leave the default of All Authenticated Users as-is. Before applying our changes within Forefront TMG, we'll double check that the new configuration looks OK. For each new rule, consider opening the properties for the rule and then using the Test Rule option. We'll also need to make sure the order of rules is set correctly. The Exchange 2007 and 2013 rules can come before or after each other as they do not conflict or override each other. 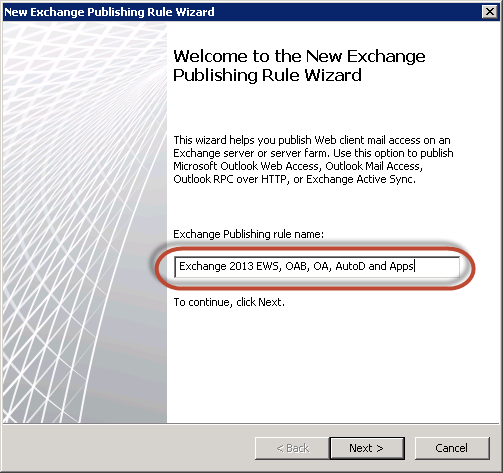 However, our Exchange 2013 Outlook Web App rule must be second to our combined rule. 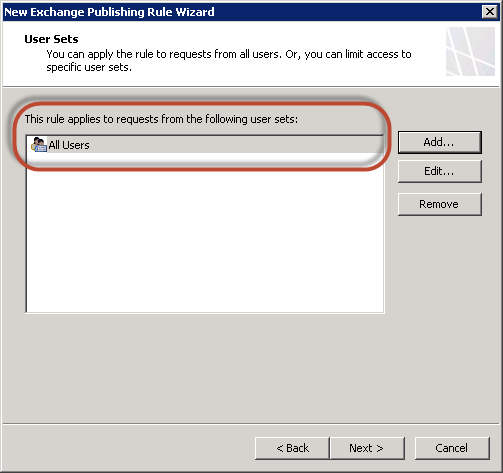 This is because the rule for publishing Outlook Apps (the one that uses the GUID) includes a sub-directory of OWA, and we'll want this rule to match before the main OWA rule. Testing setup of internal clients and ensuring the AutoDiscover process works as expected internally. 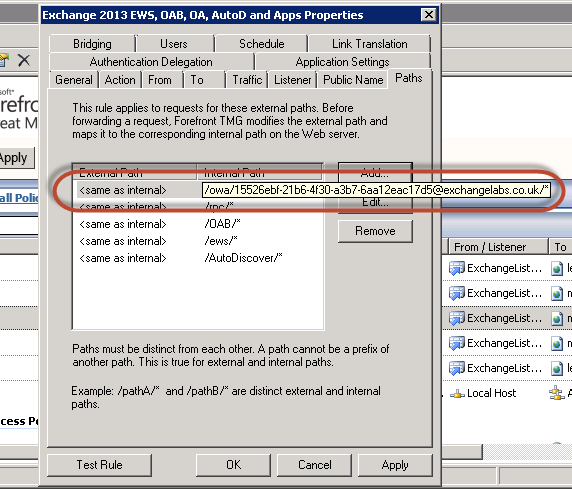 In this article we’ve completed the configuration of coexistence and at this point all clients accessing Exchange will make use of Exchange 2013 in some form, whether that’s for AutoDiscover, proxying for ActiveSync or en-route to access Outlook Web App. Theoretically, we’re ready to go so in the next part of this series we’ll prepare to migrate. It appears your directions are requiring TRG for coexistence. 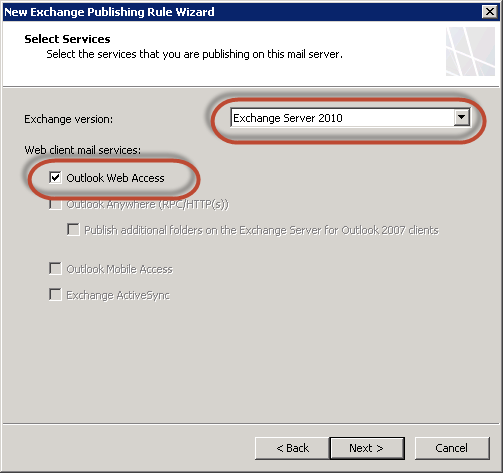 What if we are not using a TRG server and our firewall rules are pointing all external mail traffic to the Exchange 2007 server? Thanks for this usefull tutorial. 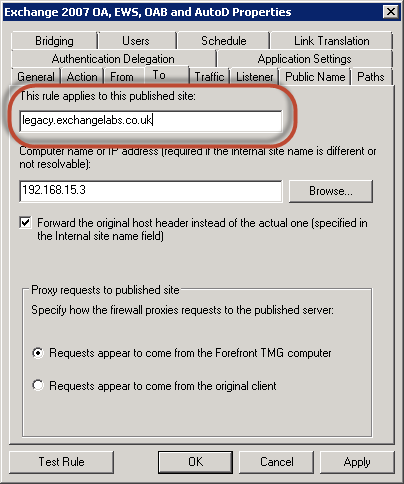 I have a rule error regarding the legacy Exchange 2007. It says Error details: 0x80090322 - The target principal name is incorrect.